No matter the season, there’s nothing quite like a day out to the beach. And in North Devon, when you fancy a beach day, the most difficult decision you’ll have to make is where? Our stunning North Devon coast is home to some of the most beautiful beaches in the country boasting miles of golden sands, backed by glorious sand dunes and wonderful clean surf. And it doesn’t take long, wherever you are in this part of Devon to get to a beach. 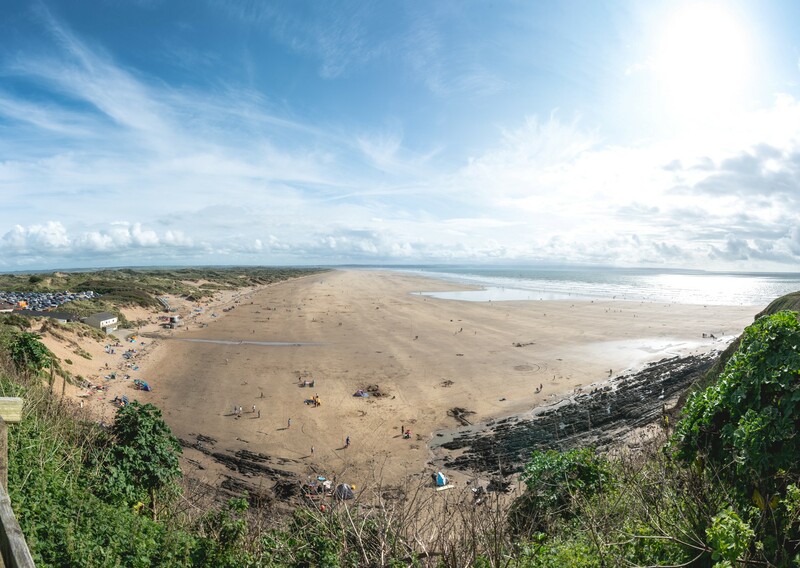 One of our favourite beaches is the beach in the village of Saunton. This exceptional beach is found in between the popular North Devon villages of Braunton and Croyde. Here, you will discover three and a half miles of golden sands with clear blue waves (and on a sunny day with glorious open blue skies) backed by sand dunes. It is often not as crowded as the other beaches, although popular with couples, families, surfers and dogs! Clean and relaxed waves welcome water enthusiasts of all abilities. Ideal for those looking to enjoy a splash or paddle to more confident swimmers, body boarders and surfers. Kite surfing is also popular at this beach too. There is a lifeguard patrol in the busy summer month, and of course there are surf schools. 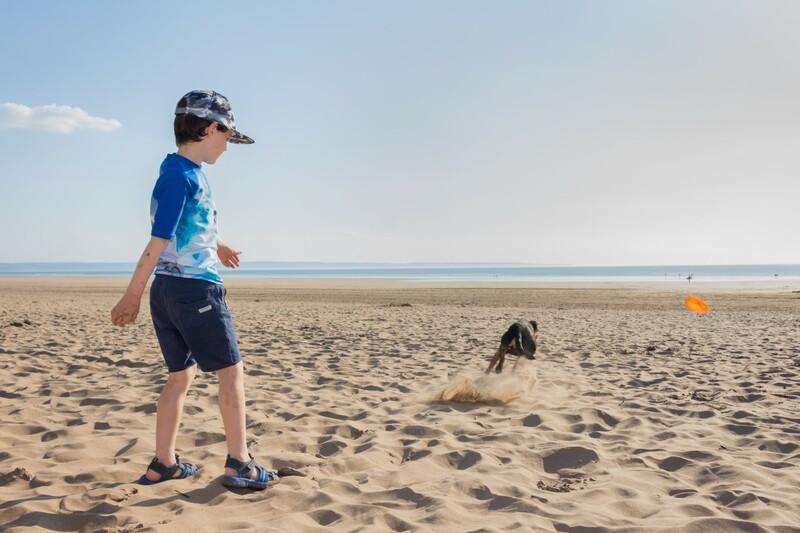 The vast stretch of sands at Saunton provide plenty of space for everyone to find their ‘own spot’– whether it’s for building sand castles, beach games or perhaps an invigorating walk from one end of the beach and back again. Dogs are also welcome 365 days a year so it’s a popular spot for dog walkers, who are just politely asked to keep left when they reach the end of the slipway to access the beach. The entire length of the beach is flanked by the sand dunes of Braunton Burrows, a large sand dune system famous for its rare plant species and animal life and declared as Britain’s first Unesco biosphere reserve. You’ll have plenty of fun exploring this huge expanse of dunes (just don’t get lost). 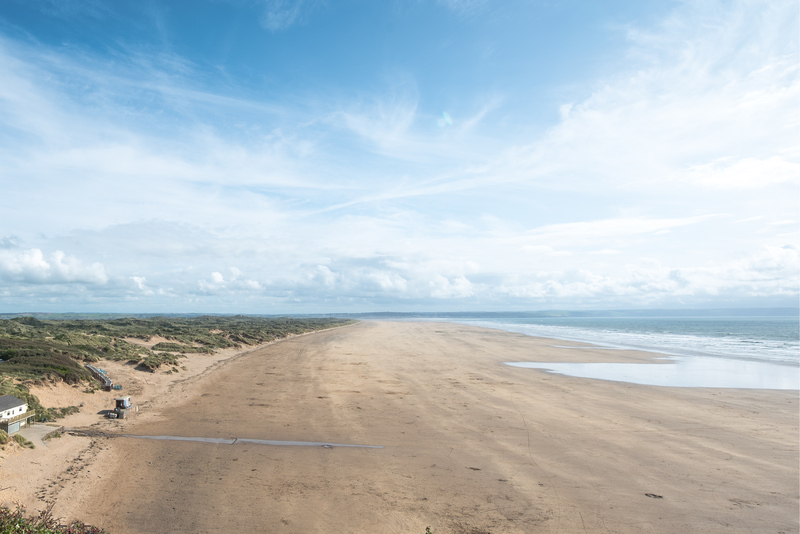 Saunton Sands is a popular beach in Devon to visit all year round and appreciate its beauty in the different seasons. Plus there are also plenty of events that take place on the beach, including surfing events and D-Day celebrations. Car parking is now available from an hourly rate. Facilities include toilets, showers, café and shop, plus more formal dining at the Beachside Grill or Saunton Sands Hotel. There are also plenty of self-catering holiday cottages and apartments close to Saunton for those looking for a holiday by the beach, in nearby Braunton and Croyde.